Every business has information that is for their eyes only, or store details about customers that should be kept private, such as bank details. Unfortunately, there are hackers who spend their lives trying to get hold of private information, sometimes to blackmail people and sometimes it seems that all they want to do is cause chaos. No one can guarantee that a business will never be hacked, but there are a few things business owners can do to try and reduce the risks of it happening. Make sure that your operating system is always updated. When the likes of Apple and Microsoft find a security problem, they will try to fix it and issue an update for your computers. Most updates have some sort of security update included, and it can be advisable to turn on the automatic update facility so that you know you will always have the latest version. The same applies to things like your antivirus, which every computer should have. The problem is that you are not always aware that a virus has entered your computer. Its effects can start with something like your toolbar disappearing. Although you might go to Myfavoritestoolbar.net for instructions on how to retrieve it, if it is a virus that is the problem, other things will start to disappear as well. You should make your staff aware that they should never open a link in an email that is from someone they do not know. This is a favorite way of getting malware into computer systems, and can cause havoc for those that become infected. The email and the link might look quite innocent, but that is all part of the scam. It is never a bad idea for staff to be trained in identifying anything incoming that might be suspicious, so that it can be binned without it ever being opened. Without some form of key or code to unlock the information, data encryption will make your data unreadable. It plays a crucial role in securing confidential information in many larger businesses, but there are programs available to suit anyone that sends data online, or around a network of computers. 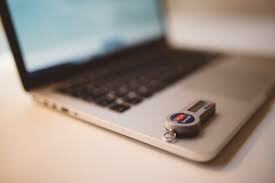 Securing sensitive information and data in this way is becoming the norm for many companies and is an option that all business owners should consider. Don’t leave any of these security measures to chance. Keeping documents and data secure can be vital for any business. For instance, if you have the plans for a new product on your computers, you would not like a competitor to be able to get hold of them. If you accept online payments rather than using someone like PayPal, you need to be able to ensure any card details are secure. These are just a couple of examples that could be very upsetting if hackers were able to get into your systems, there are many more ways they could affect your business. The latest technology has put things in place to help you secure your systems, and you should make sure that you utilize them as much as possible.